The team from Nordica Sales and Rentals have announced that they are launching a new home styling and interior design service in Aloha Gardens, with a launch event and masterclass on Sunday, November 30, from 01.00pm. Nordica Interior Design Group will style properties to sell, help sellers get the price the property deserves, and create a home which buyers will love to live in! The service has been launched following a successful trial where they styled a property that had been on the market for one year. Following the styling, there were three buyers competing for the property, and it sold in just one week, at full price. With this compelling evidence, they decided to launch Nordica Interior Design Group. The new premises in Aloha Gardens (close to El Jardin) will showcase a range of interior design options, styles, and furniture packs. 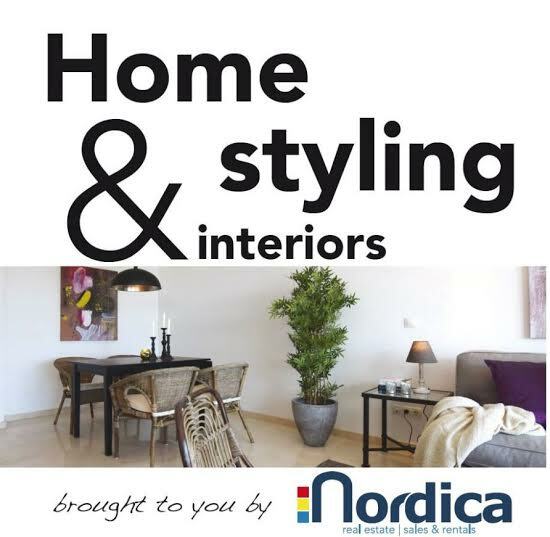 To mark the launch of the new service, Nordica is offering a free one-hour home styling masterclass on Sunday, 30th November, to give owners practical advice, inspiration, and tips on how they can style their property for a quick sale. Places are limited, so please email sales@nordicamarbella.com to find out more and secure your place. This event has been organised to coincide with the popular Nellies Deli Advent Celebrations on November 30, 2014, so guests can enjoy the masterclass from 13.00-14.00, ask for advice, celebrate the launch of Nordica Interior Design Group, and also enjoy a great atmosphere with drinks and nibbles at Nellies Deli from 14.00-18.00. The team will be on hand to welcome guests and offer design advice throughout the afternoon at the Nordica Design Group Offices.